Have you been to a corn maze? They are so much fun! 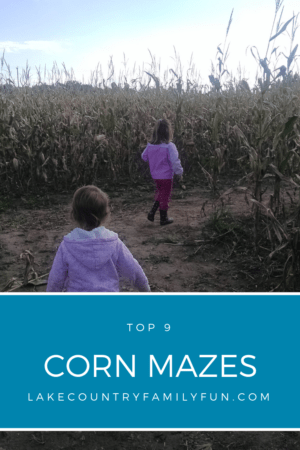 (Just don’t get lost 😉 ) Here are our top 10 favorite local corn mazes to go have an adventure and make some fun memories with your family. Some farms listed have scary corn mazes, some are family friendly, and some are spooky at night! South East Wisconsin is a fall wonderland. Make sure you check out Lake Country Family Fun’s other fall guides here! Basse’s Taste of Country is located on County Line Q near Colgate, WI. They are a family-owned and operated farm that offers family-orientated fun and educational activities all season long! To wrap up all the fun each year, please visit their ever growing and improving pumpkin farm with their fall fun packed pumpkin festival! While there, check out their 2018 corn maze: The In-corn-ibles! Basse’s had created one of the first corn mazes in Wisconsin, making corn mazes since 1998. The Basse’s have been creating fun and challenging corn mazes for the whole family to explore! Find them on Facebook, too! As part of their Harvest Fest, The Elegant Farmer offers a family-friendly corn maze with easy in and out access for all ages. Come experience the fun and laughter this farm scene corn maze is sure to provide. 2018 Corn Maze admission is $6.00. The corn maze is not haunted, and is open during daylight hours. It is about 9 acres and over 3 miles of path. Don’t get lost in the maze while searching for the checkpoints. The corn maze opens Saturday, September 29 and will be open Monday through Friday noon until 6:00 pm and Saturday and Sunday 10:00 am through 6:00 pm. They also have a family friendly nighttime flashlight maze on Friday and Saturday nights in October. The last entrance to the maze is 9:00 pm. The 2018 design is a Pac-Man game board, and they have checkpoint hidden throughout the maze for an extra challenge. The day time corn maze is $6 per person; nighttime maze is $8 per person. Children 2 and under are free. 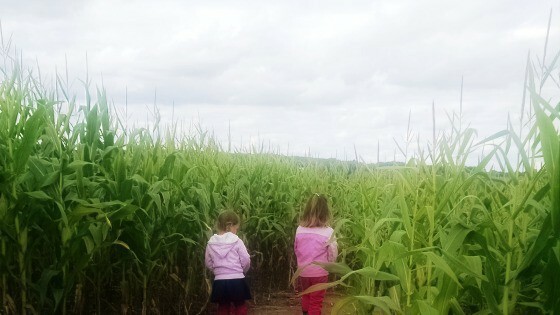 The Homestead Animal Farm corn maze is family friendly and a fun challenge for all ages. Dates open to the public: Saturdays and Sundays from September 29th to October 28th from 10:00 am to 6:00 pm. No reservations necessary. This year’s (2018) corn maze is called, “Seasons of the Year”. Field trips available during the week by appointment. They also have a family friendly corn maze, barnyard animals, baby chicks, “I Spy Hayride”, Children’s Exploration area, pumpkin patch, pre-picked pumpkins, gourds, squash, straw bales, cornstalk bundles, and other fall decorations. Welcome to the Lindner Pumpkin Farm Located nearby in New Berlin, WI. At the Lindner Pumpkin farm you can expect fun and friendly service with activities for all ages without having to worry about spending too much. Families will love the large assortment of animals in the petting zoo, plentiful pumpkins, kids games, pumpkin express barrel train and a corn maze for all ages is sure to be a good time. Starting September 24th, 2018 and open daily 10:00 am to 6:00 pm through the 31st of October. No admission fee and parking is free. Activity costs vary but bring food donation for New Berlin food pantry for $1.00 off. They are a family-owned and operated farm that offers family-orientated fun and educational activities all season long! To wrap up all the fun each year, please visit their ever growing and improving pumpkin farm with their fall fun packed pumpkin festival! While there, check out their 2018 corn maze: The In-corn-ibles! Basse’s had created one of the first corn mazes in Wisconsin, making corn mazes since 1998. The Basse’s have been creating fun and challenging corn mazes for the whole family to explore! Note: their maze is family friendly and never haunted. Their FREE fall activities offered for the little ones include the selfie scavenger hunt, lawn jenga, connect four, corn bag toss, pumpkin checkers, tic-tac-toe, corn box and everyone’s favorite, Angry Birds For Real slingshot game! For those a little bit older, they have a corn maze and “amazing race”. Do you have a corn maze to add? 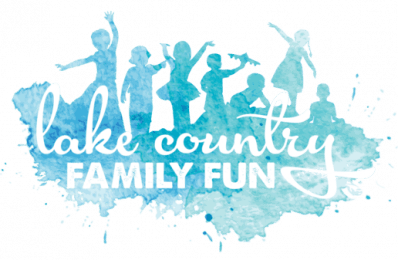 If you have a corn maze to add to our Southeast Wisconsin Corn Maze Guide, please email us at erin@lakecountryfamilyfun(dot)com with your corn maze information. You can also email us via the contact form.